Grand imposing caves which resonate with the sound of the sea. A beautiful walk through bush and along a scenic unspoiled beach is all part of this experience. It is recommended to plan your visit to the caves. They can only be accessed approximately 1 hour each side of low tide subject to safe sea conditions. 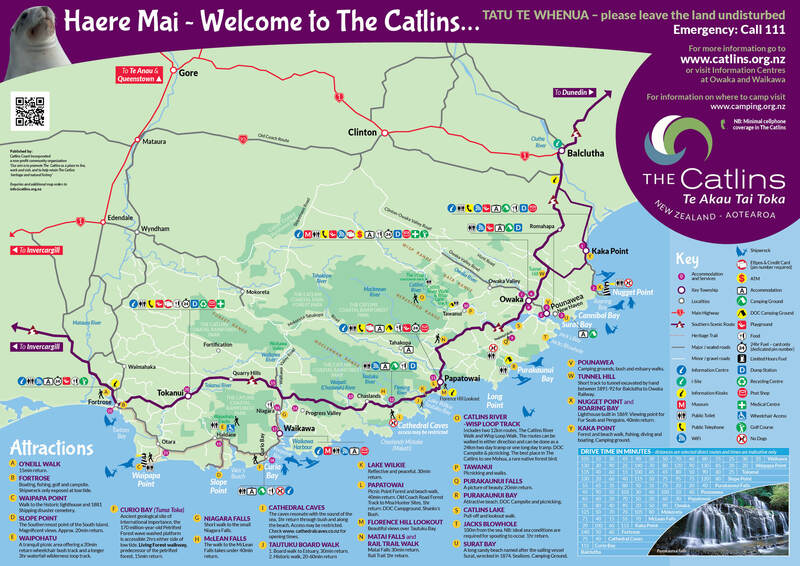 The caves are usually closed from June to the end of October and can also be closed at short notice at other times (for tide information check the tide charts or enquire at Visitor Information Centres in The Catlins). There is a small entrance fee (cash only) as the access road is on private land. The walk from the car park takes you through kamahi/podocarp forest. It is downhill on the way to the beach. After you come out of the forest it is a short walk along Waipati Beach to the Cathedral Caves entrance. Walk from car park to caves – 1 hour return.